Did he, or didn’t he? This is the simple premise for the psychological legal thriller, Defending Jacob. Jacob is the 14-year-old son of the district attorney, and he is accused of murdering a classmate. At first, it is hard to believe that such a thing is possible, but as the story progresses, information spills out about Jacob’s past. His parents fight tooth and nail to get him acquitted, and they finally succeed. But was Jacob guilty or innocent? The book raises interesting questions regarding nature vs. nurture, the stigma attached to the accused, the justice system, and parenting methods. 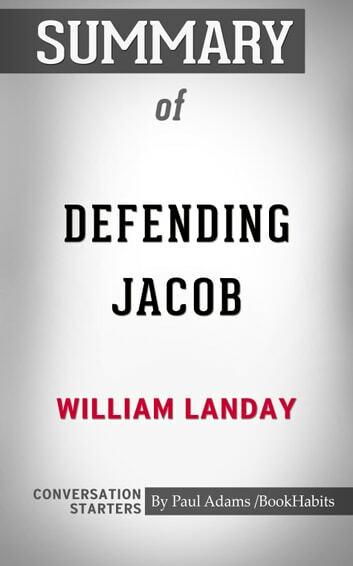 Disclaimer: This book you are about to enjoy is an independent resource to supplement the original book, enhancing your experience of Defending Jacob. If you have not yet purchased a copy of the original book, please do before purchasing this unofficial Conversation Starters. James Lee Burke Books in Order: Dave Robicheaux series, Hackberry Holland series, Billy Bob Holland series, Holland Family series, all short stories and standalone novels. Fifty Shades of Grey - 101 Amazing Facts & True or False?